It’s mission critical to compare shipping rates for FedEx, UPS, and USPS in advance. Otherwise, selecting a shipping carrier can feel like a roll of the dice. Don’t rely on luck. Instead, arm yourself with information about the “sweet spots” of each shipping carrier, so you can make the best decision for your packages. Rates will vary based on dimensions, weight, delivery time, and shipping zones, but the following examples are an overview of what to expect from the major carriers. Please note: for USPS rates, we’ll be covering Commercial Base Pricing (CBP) in the tables below, and we’ll use the online rates for FedEx and UPS. Which is the best delivery option within 5 days — FedEx vs. UPS vs. USPS? Consumers have come to expect their packages will get delivered in an average of 4.8 days. Each of the major carriers have a shipping service that delivers within that time frame. To compare, USPS Priority Mail delivers in 1-3 business days while FedEx Home Delivery and UPS Ground deliver in 1-5 business days. Which is the best flat-rate option — FedEx vs. USPS? Since UPS does not offer a flat-rate service, we’ll compare FedEx vs. USPS. Like we mentioned in our USPS shipping rate charts article, flat-rate boxes are great, because they’re so easy to use. With USPS, you can get the boxes for free, and you’ll pay a flat rate to ship a package weighing up to 20 pounds anywhere in the U.S. between 1-3 business days. FedEx One Rate offers free boxes, as well, and does not require you to weigh or measure shipments under 50 pounds with a time-definite 1-, 2-, or 3-day delivery. Which is best for small, lightweight packages — FedEx vs. UPS vs. USPS? Small, lightweight packages tend to be the bread and butter of e-commerce businesses. If you’re looking to ship a package under one pound, you’ll likely want to consider the USPS First Class Package Service (FCPS). It caters to packages less than 1 pound, and has an average delivery of 1-5 business days. Which is best for larger, heavier packages — FedEx vs. UPS vs. USPS? FedEx and UPS are typically competitive options for heavier packages. Keep in mind that USPS has a weight limit of 70 pounds for its most popular shipping services. Which has the best 3-day delivery option — FedEx vs. UPS vs. USPS? For packages that need to get to their destination faster, consider these timely options. FedEx Express Saver guarantees delivery to businesses by 4:30 p.m. and to residences by 8 p.m. in 3 business days. UPS commits to delivering by the end of the third business day. A competitive option for 3-day delivery is USPS Priority Mail, with deliveries in 1-3 business days. Which is best for guaranteed overnight packages — FedEx vs. UPS vs. USPS? If you need your package to arrive at its destination overnight, here are the options to consider: USPS Priority Mail Express Delivery by 10:30 a.m., FedEx 2Day A.M., or UPS Next Day Air. USPS Priority Mail Express Delivery by 10:30 a.m., FedEx 2Day A.M., and UPS Next Day Air. Shipping software, like Shippo, allows users to compare carrier rates, taking into consideration the specific weight, dimensions, and distance traveled by each package. 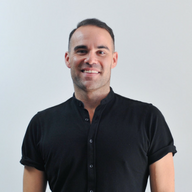 If you’d like to try us out, visit https://goshippo.com/register or chat with our sales team here. Also, consider signing up for our FedEx Advantage program, which saves users up to 29 percent with FedEx. Applying is free, so see if you qualify today. 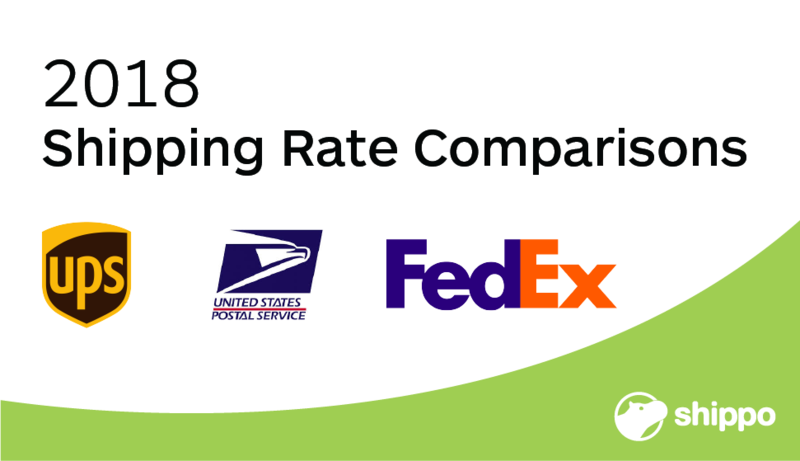 You might also be interested in our recent 2018 USPS shipping rates chart information that lists Commercial Plus Pricing (CPP) for high-volume shippers.